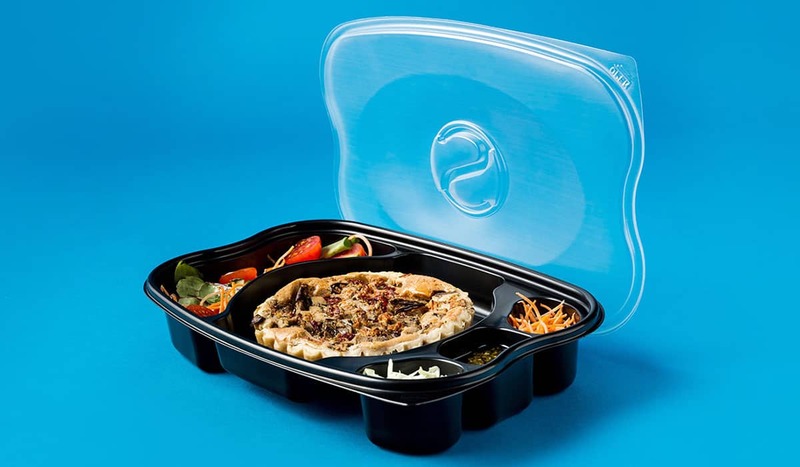 A very high quality line of Black PP take- away trays with suitable clear PP lids. Prestigious unique design. 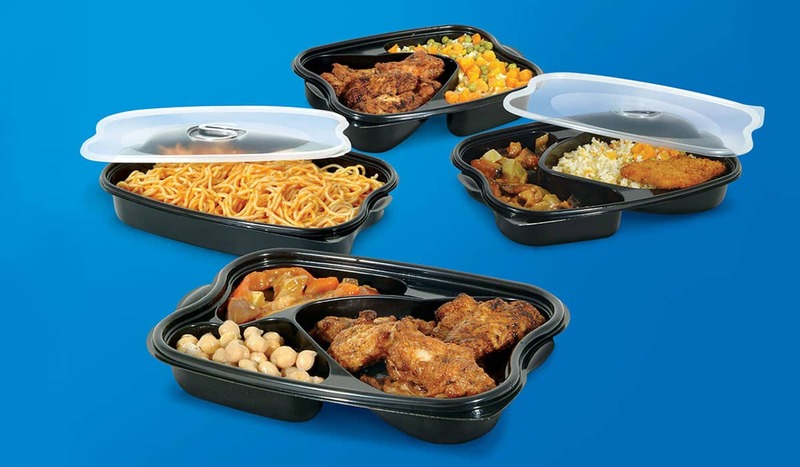 For the use of hot and cold food. Microwaveable. Leak proof. 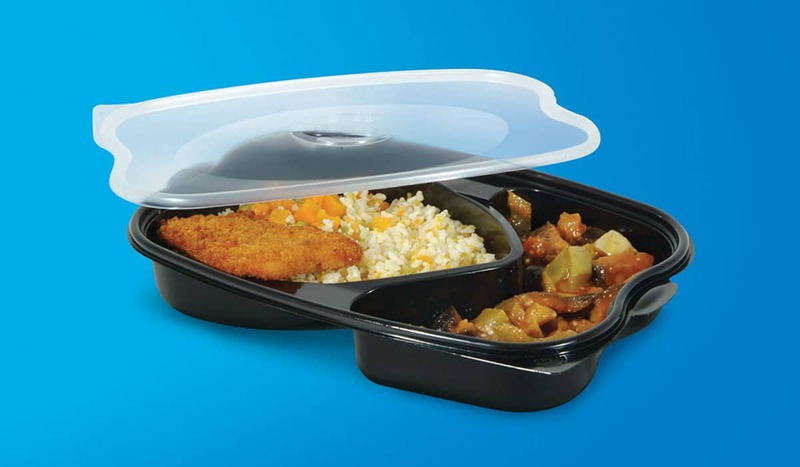 Ventilated lid (for release of steam). Available in 3 different volumes. 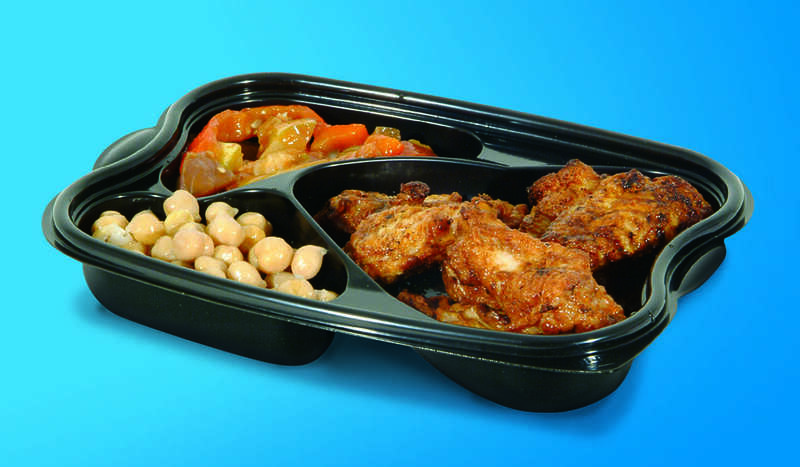 Available with 1, 2, 3 & 5 compartments.